Milwaukee, WI ? January 12, 2012 ? Safe Harbor Computers, a leading supplier to video editors, 3D animators and post production professionals, has announced that they are now providing live chat support to customers around the world. Building on the highly-rated customer service that they?re known for, the new live chat feature is another simple and user-friendly option now available to customers throughout their shopping experience. The new feature integrated into Safe Harbor?s website allows post production professionals to connect one-on-one with experienced staff, both pre- and post-sale, during standard business hours. “In addition to email, phone and various social networking sites, the live chat feature is just one more way that customers can connect with us and discover the best solution for their needs,” says Jeff Pulera, NLE specialist at Safe Harbor. The live chat addition is the first in a series of updates to Safe Harbor?s online experience. “With a number of updates planned throughout the year, we will soon be able to provide our customers with a completely seamless shopping experience, from general research on gear and software, to pre-sales questions, purchasing and post-sales support, all entirely possible without ever leaving our site,” states Marc Leitner, Marketing Coordinator. 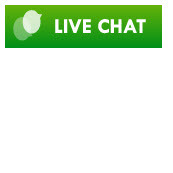 Safe Harbor?s live chat is currently online at www.sharbor.com and is accessible via the “Chat online” icon in the upper right-hand corner of any page. Celebrating 25 years of business, Safe Harbor has become one of the most trusted resellers in the multimedia industry. Founded in 1987 as a Commodore Amiga reseller, Safe Harbor helped to advance the video production industry by providing quality products and outstanding customer service to a wide range of creative artists. With a clean, intuitive, and easy to navigate website, Safe Harbor has built a reliable reputation as an industry leader. Look to Safe Harbor for quality editing and animation software and hardware, as well as for a professional and personable experience.